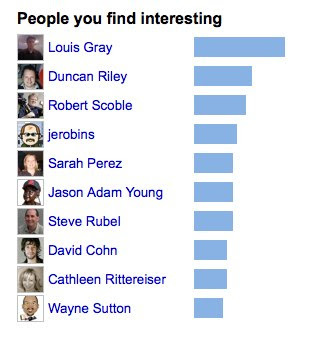 FriendFeed has this option that keeps track of who you find the most interesting. I skitched it this morning. I enjoy watching how it changes rather frequently.